Fieldey is Haylee Fieldes: an Australian artist and commercial illustrator. Fieldey’s iconic style blends the retro, effortless cool of old-school tattoo with elements of pop art and realistic portraiture. Fieldey also brings her love of richly-detailed flora to her artworks, creating unique pieces that explode with colour and life. Fieldey has painted hundreds of murals, canvases, surfboards and skateboards, as well as less conventional objects such as bowling pins and a 2.4m remote-controlled jet boat. She has been commissioned to produce artwork by brands such as: Coca-Cola, Citroën, Iron Fist Clothing, Anytime Fitness and Seven Skates. She has also been a sponsored artist of Molotow Graffiti Products, Posca, Liquitex Paints and Angelus Paints. ​Fieldey was born in New Zealand in the 1980s. A move to Norfolk Island as a child kindled her lifelong interest in the ocean. Leaving Norfolk Island in 2001 to study graphic design in Sydney, she spent a few years travelling and working as a graphic artist in London. 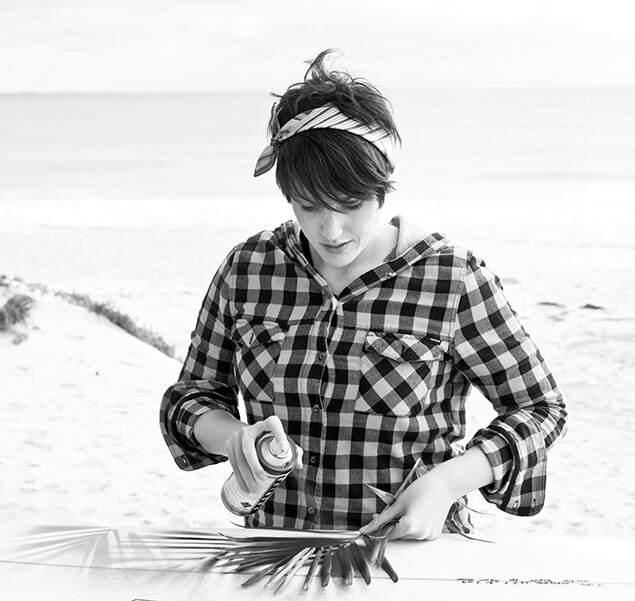 Upon moving to Perth, Western Australia in 2007, she learned to surf and decided to custom-paint her first surfboard, launching her career as one of the best surf artists in the industry. Since putting a paint-marker to her first surfboard, the scope Fieldey’s art practice has broadened dramatically. She has a dedicated base of collectors who have commissioned her to custom paint street art murals, canvases and boards for their homes and businesses. Her work is also highly sought after by companies for merchandising and promotional materials. Fieldey has also been riding the wave of the worldwide street art and mural revival, painting iconic and much-loved murals in Perth (Australia), Valparaíso (Chile), Cartagena and Bogota (Colombia). Fieldey has documented her art journey on Youtube, and you can follow it too by subscribing to her channel here. Three tasty morsels from Fieldey's commercial art and illustration projects. ​Click here to view more past projects. Two large-scale custom street art murals. 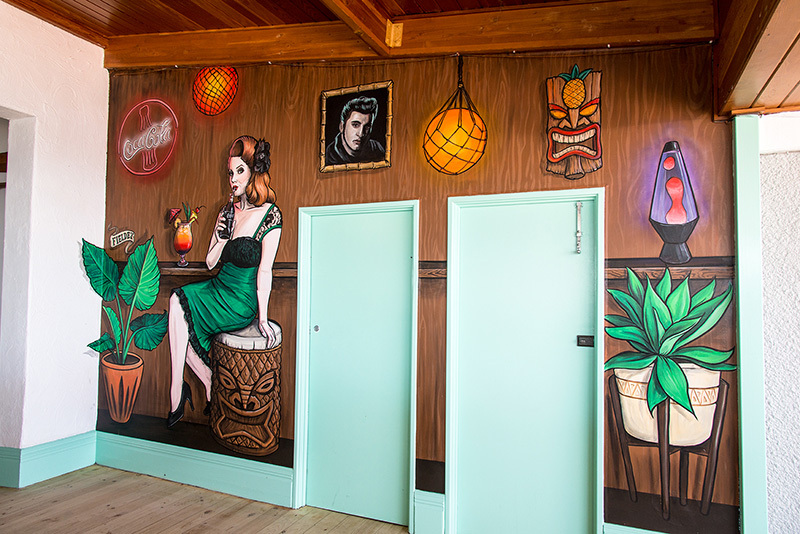 Commissioned by Coca-Cola and painted inside the Ocean Beach Hotel in Cottesloe. 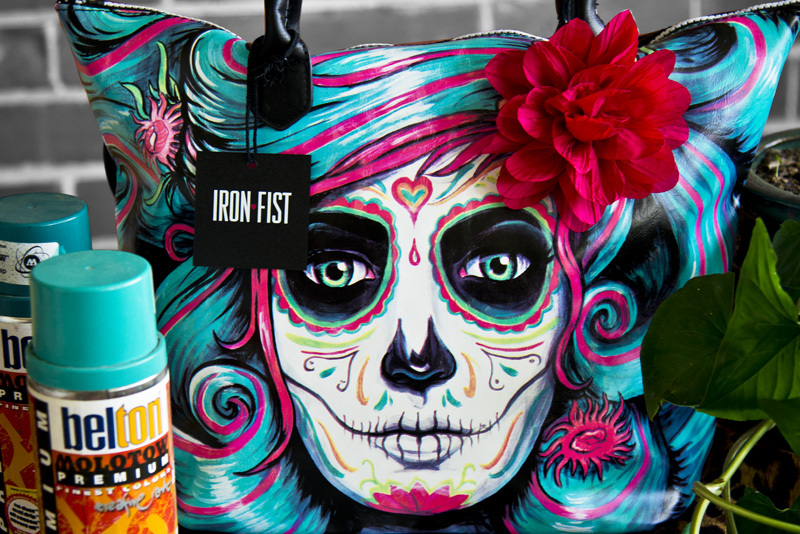 Fieldey has painted artworks for Iron Fist Clothing's range of shirts, bikinis, handbags, shoes and more. Fieldey joined with other world-leading surfboard artists to create custom surfboard graphics to promote the new Rip Curl edition Citroën​ C4 Cactus.